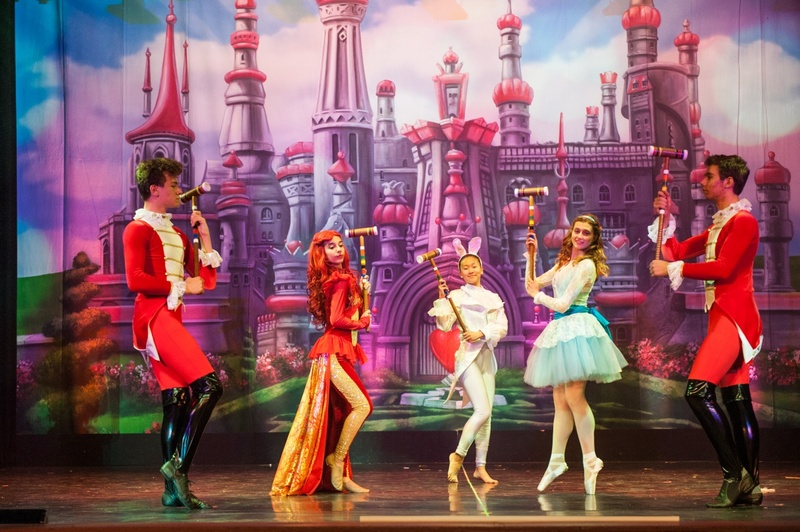 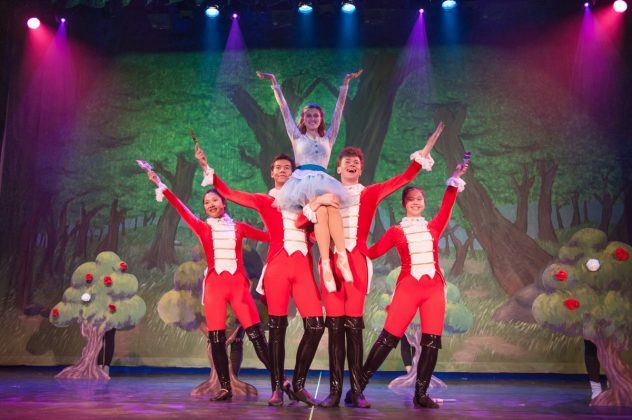 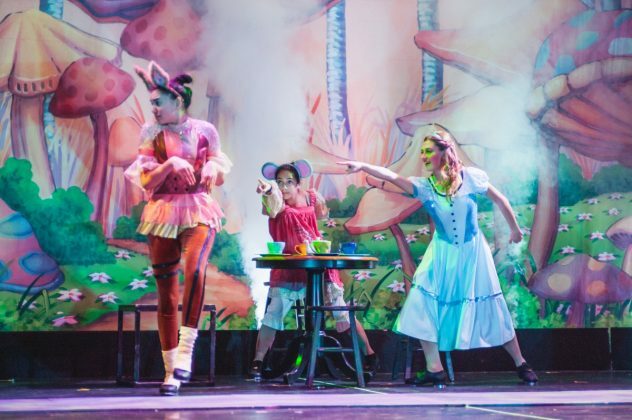 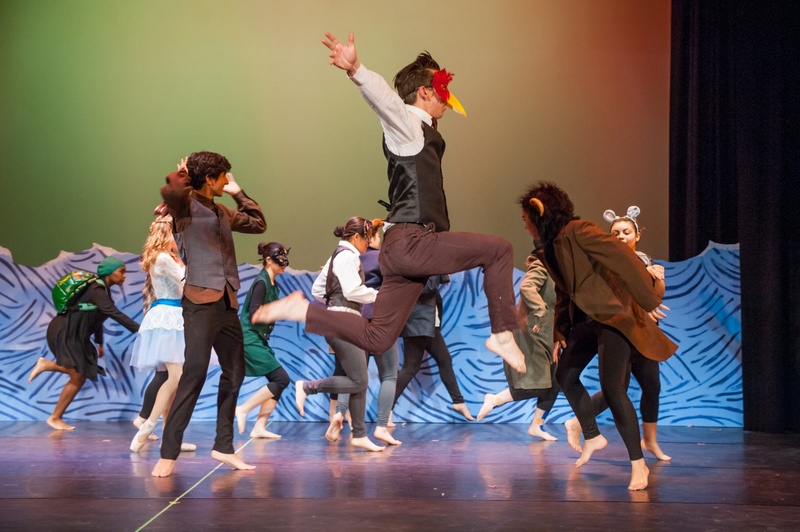 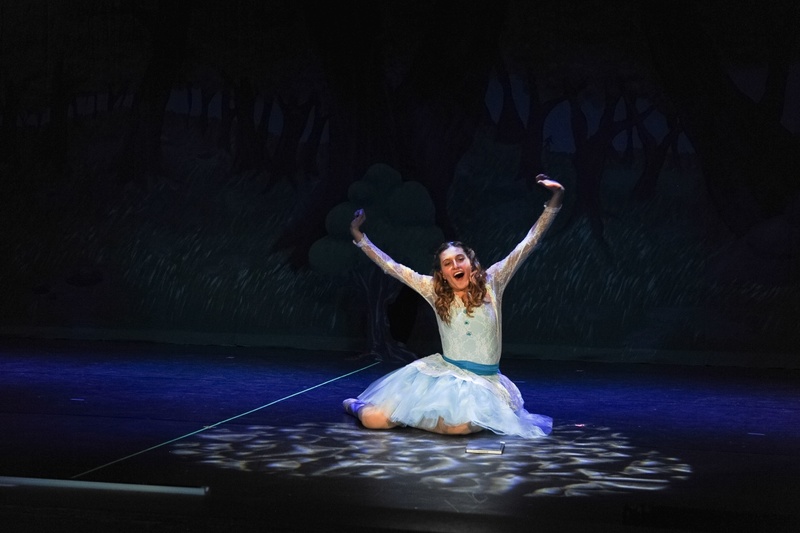 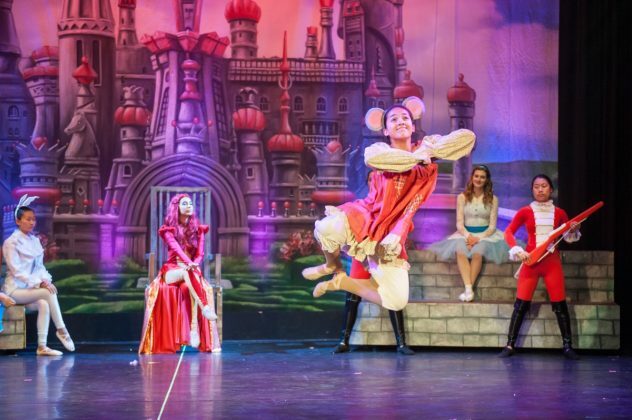 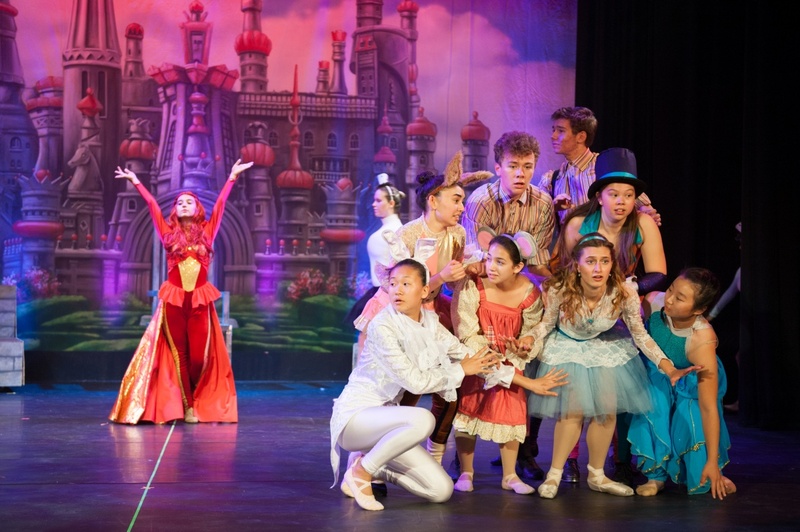 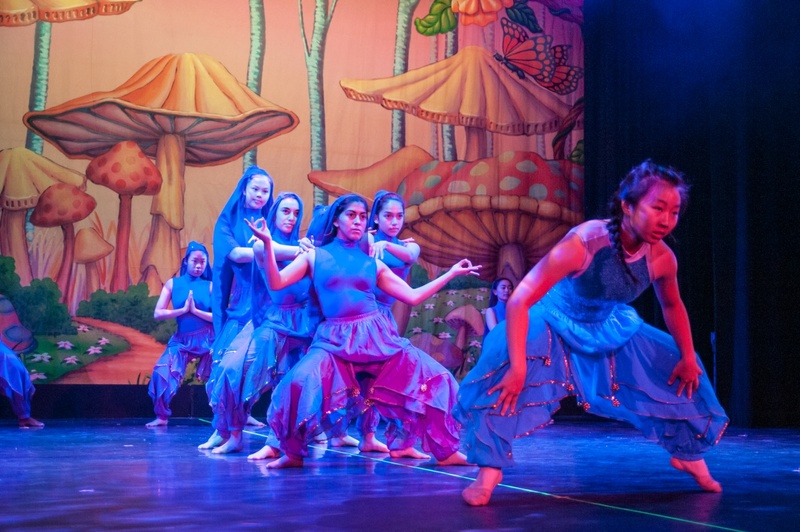 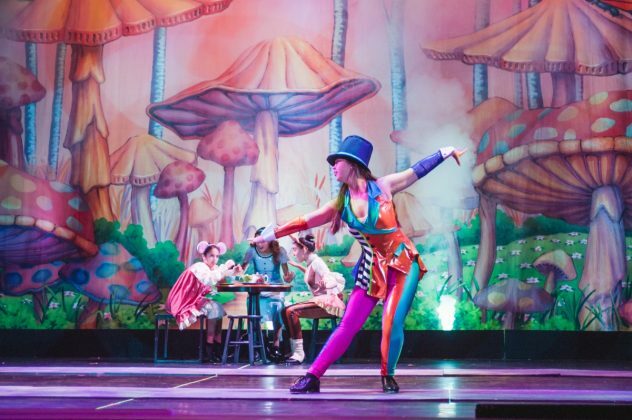 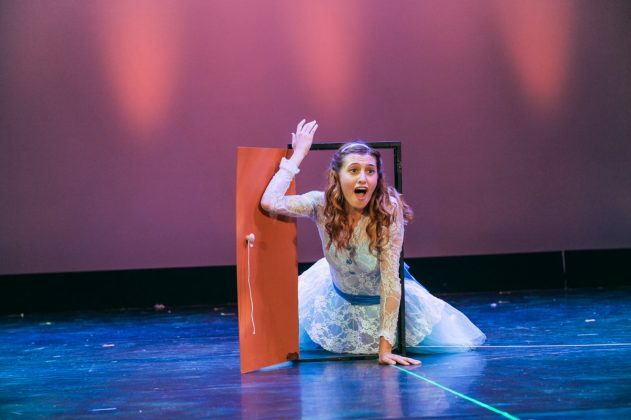 South Pasadena High School dance department produced a lush, whimsical Alice In Wonderland for it’s final show of the year that was a smashing success. 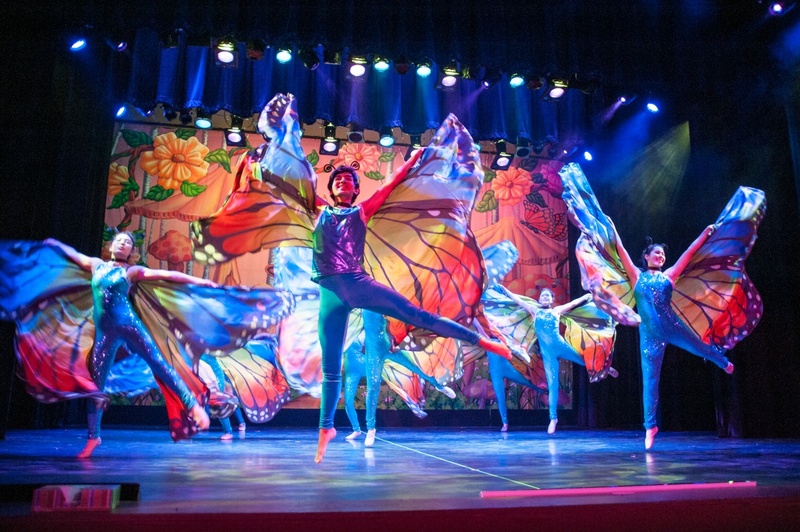 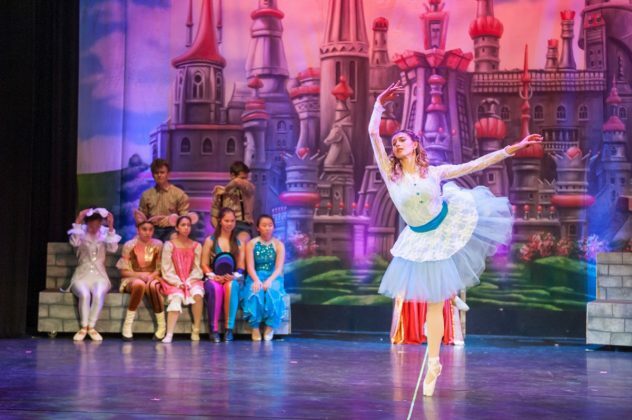 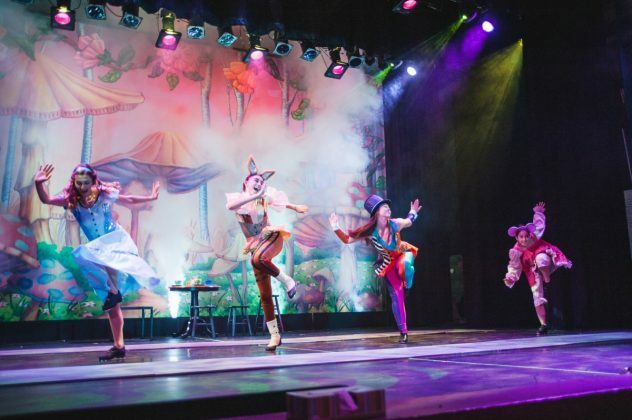 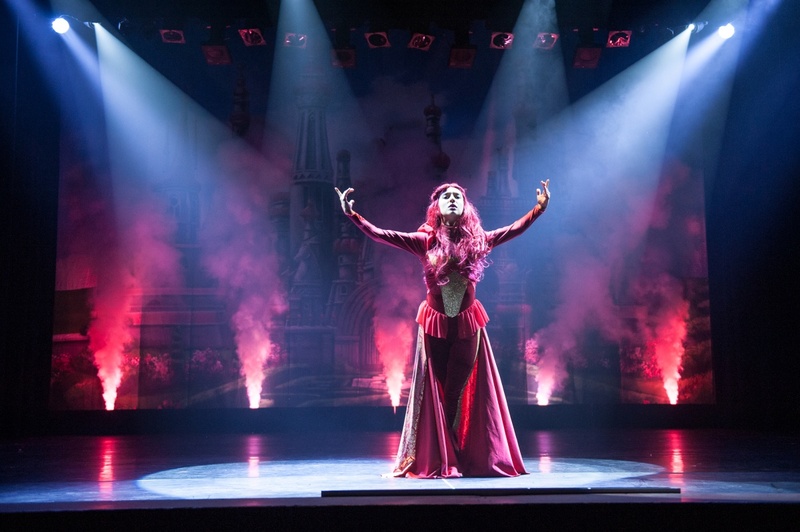 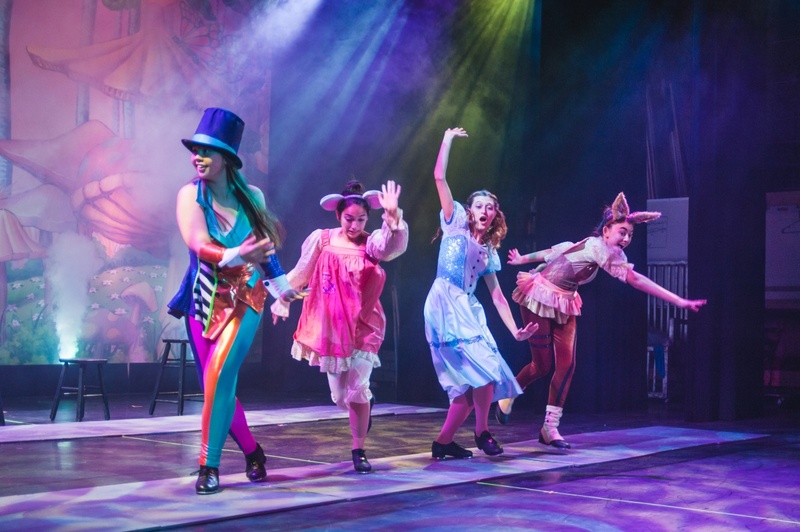 Choreographed by Courtney Cheyne, Joey Leon, Melinda Sullivan, and student choreographers, the show was a visual spectacular featuring all the color and magic you would expect from Wonderland. In the lead role of Alice, was senior ballerina Claire Kucera, who brought considerable acting chops to the tea party, leading everyone down the rabbit hole where she meets up with the dynamic skills of Kayla Nielsen as Mad Hatter, the infectious expressiveness of Isa Recendez as Dormouse and the charisma of Noel Tessier as March Hare for a show stopping, mad tap number by Melinda Sullivan. 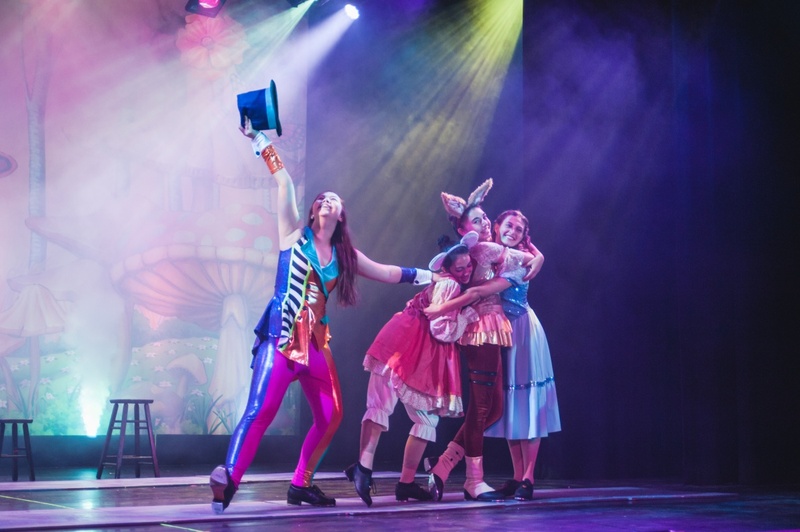 We follow Alice as she encounters a black lit Cheshire Cat, soldiers performing fantastic gun tosses played by SPHS Color Guard, and a delightfully daft Tweedle Dee and Tweedle Dum played by Anders Keith and Jackson Monical. 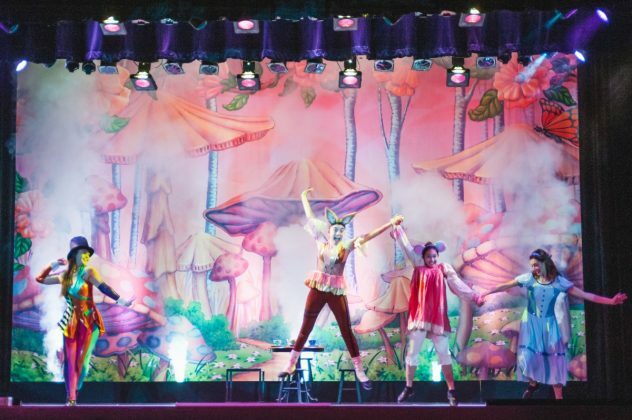 Act II saw the introduction of the evil Queen of Hearts, a magnetic Mia Dawson, her court complete with rose painting, croquet and a trial. 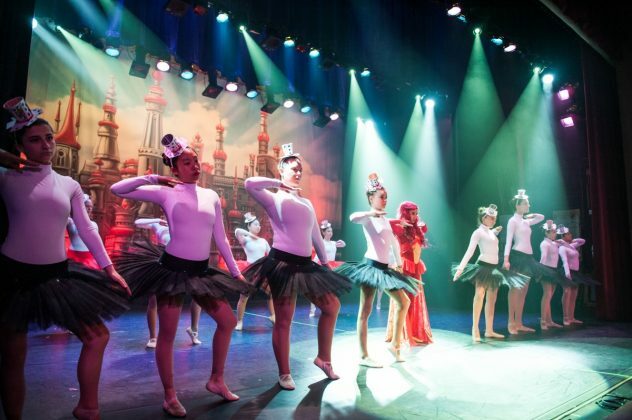 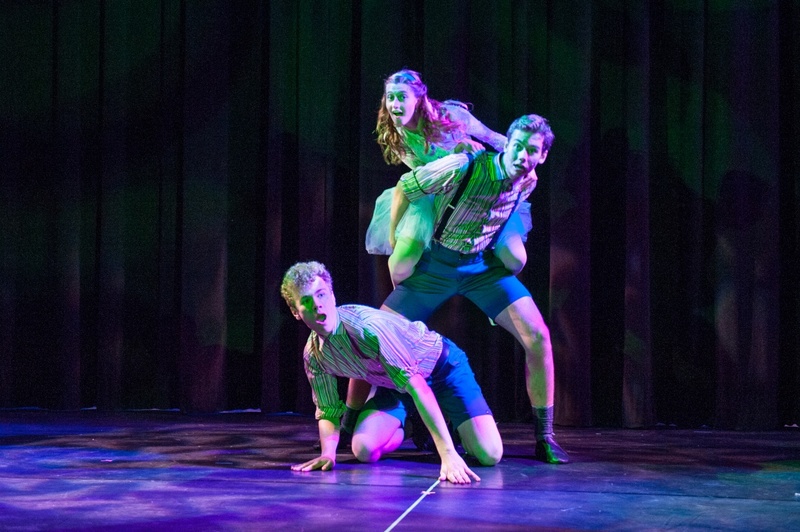 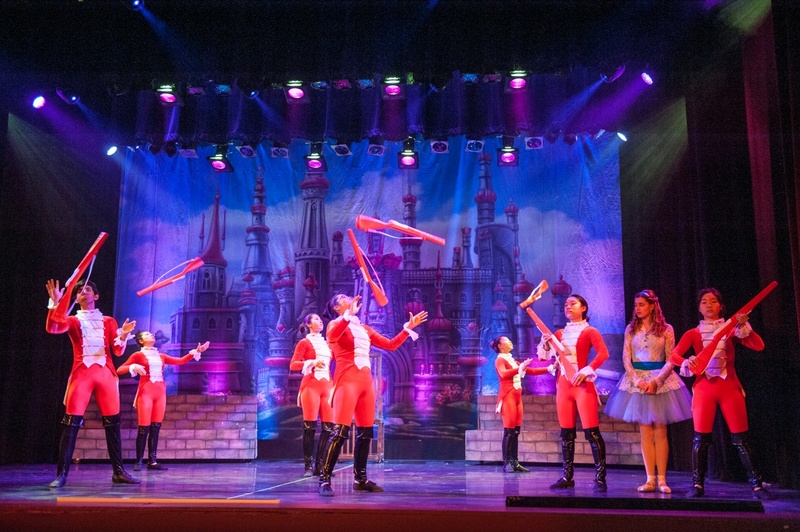 The show was an ambitious endeavor to mount what was essentially a complete story ballet infused with clever prop use, innovative choreography involving over sixty students across multiple departments. The technical team led by James Jontz outdid themselves establishing the eye-popping, fantastical Wonderland full of oceans, opulent castles, and sumptuous gardens, all under a gorgeous, rainbow colored sky. The audiences gave standing ovations on both evenings and the show was more successful than ever. 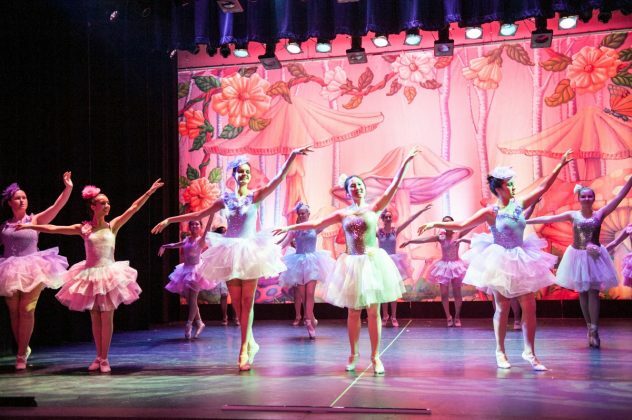 Historically, spring dance concerts are performed twice and the winter only once, but with the success and growth over the past few years, Cheyne fought to give her dancers more shows next year. 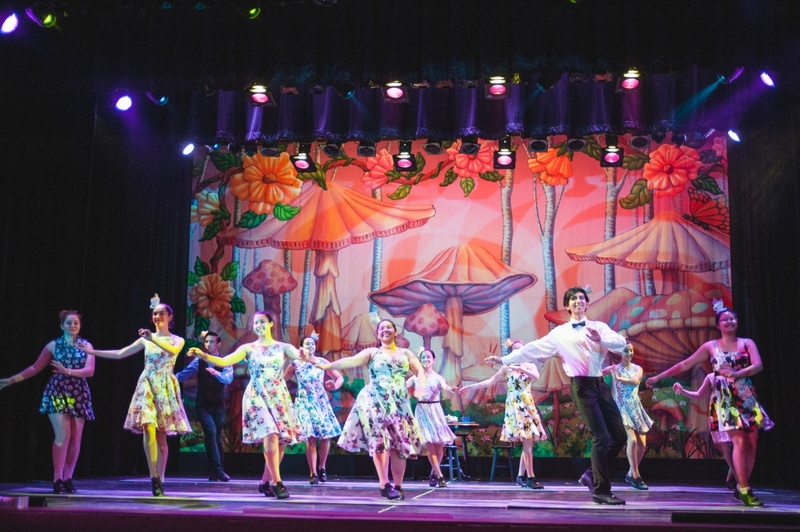 Cheyne is pleased to announce that the Winter Concert will take place on December 6th & 7th and the Spring Concert will be May 23rd, 24th, and 25th. She went on to tell us that in addition, SPEF is now offering a week-long summer dance intensive for grades 3-8 the week of July 30th – Aug 3rd. 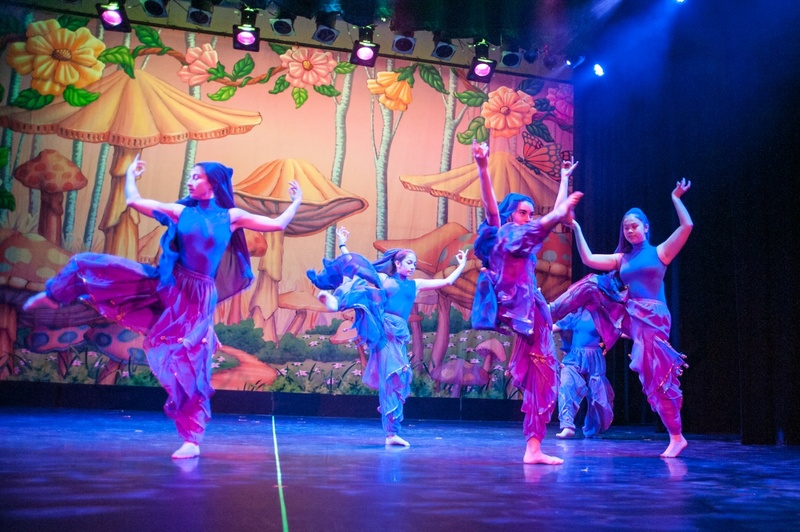 The dance intensive will be run by Cheyne, students from the SPHS Dance Program, and outside professional dance teachers.